100g plain flour (seasoned with salt and pepper). 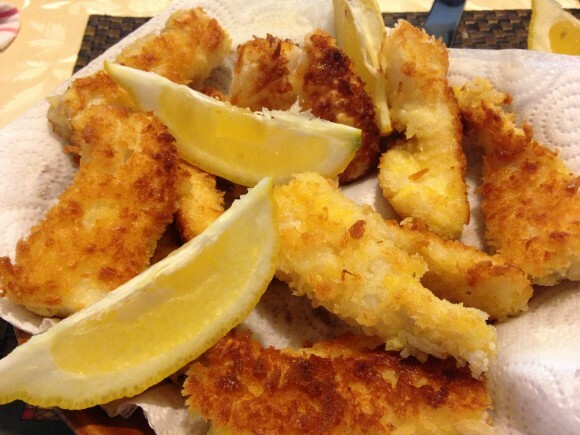 Cut the fish into finger sized strips. Heat a large amount of oil to a med-high temperature in a large pan. Shallow fry the fish until golden.